Bitcoin price appears to be finding support at the bottom of its symmetrical triangle. Bulls continue to defend this level but a short-term downtrend channel remains intact. A bounce off this area could lead to a test of the channel top, and an upside break could spur a move to the triangle top. Bitcoin price continues to hover at the major support zone, and bulls would need more momentum to sustain a bounce. The 100 SMA remains below the longer-term 200 SMA on the 4-hour time frame to confirm that the path of least resistance is to the downside. This signals that the selloff is more likely to continue than to reverse. This could also mean that a break of the triangle support around $7,350 is imminent. 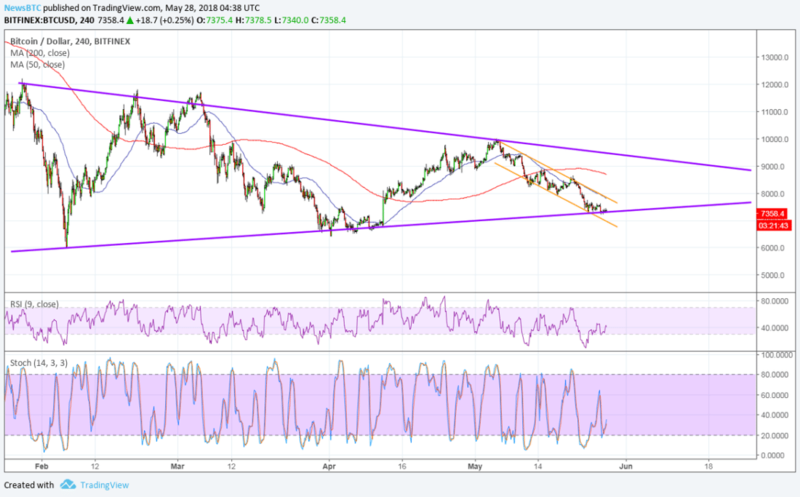 The 100 SMA lines up with the top of the short-term descending channel to add to its strength as resistance while the 200 SMA adds another dynamic resistance before the top of the triangle at $9,000. RSI is pointing up to signal that bulls could still push higher, though. Stochastic is also turning higher to reflect a return in bullish momentum, which might be enough for a test of the near-term resistance at $8,000. 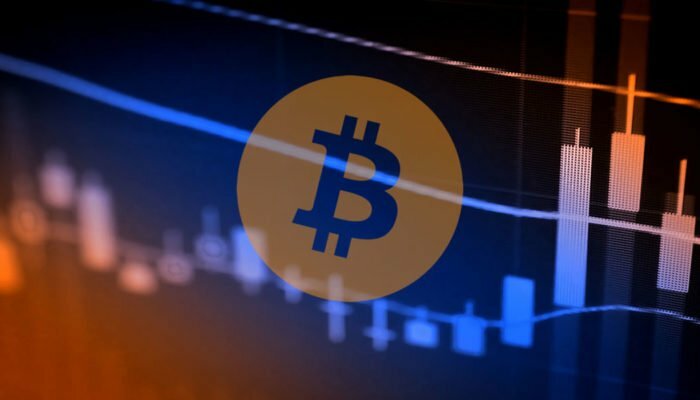 Bitcoin and its peers have been on the back foot recently as the lack of positive updates and the liquidation of more bitcoin on Mt. Gox have spurred declines. This time, there is some degree of focus on regulation but developments in the industry could lead to positive sentiment. For one, there’s the mainnet launch for both Tron and EOS that would make them independent of the Ethereum network. Although this probably won’t have a direct influence on bitcoin price, any improvement in investor outlook could still lift altcoins overall. Besides, the dollar has the NFP report to contend with and weak results could further dampen tightening expectations. Apart from that, overall risk sentiment in the financial markets, particularly relating to trade talks and political uncertainties, could lead to some volatility.